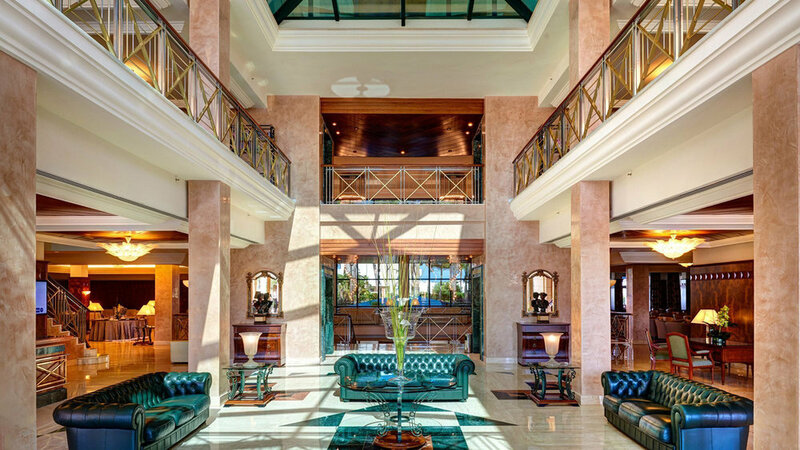 The 5 star Hipocampo Palace offers a superior golf holiday experience in Mallorca. Spacious and comfortable rooms, plus an excellent local reputation, make this a popular choice for golfers visiting the North-East corner of the island. The Hipocampo Palace lies on the outskirts of Cala Millor, and and is a short walk away from its long sandy beach. The centre of the resort, with its shops, restaurants, and bars, is a 5 to 10 minute walk away, and Pula, the nearest 18 hole golf course is just over 5 miles away. 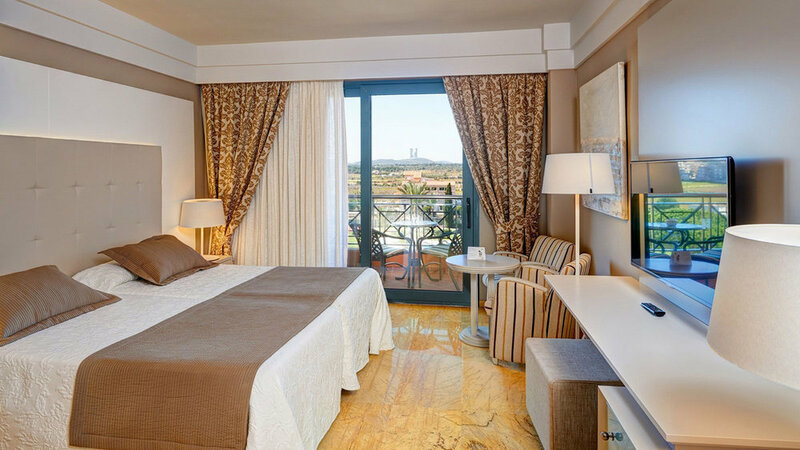 Built in 1997, the Hotel Hipocampo Palace consists of a main 5-floor building and a 4-floor annex, and comprises of a total of 203 rooms, of which 98 are doubles, and 105 are suites. All of the guest rooms at the hotel have an en-suite bathroom with bathrobe and hairdryer, a balcony or terrace, a telephone, air-conditioning, a mini-bar, satellite TV, a radio, and a safety deposit box. In addition, Junior Suites have a separate living room, and Senior Suites have a whirlpool bath. This air-conditioned hotel has a 24-hour reception with a safe, currency exchange facilities and a cloakroom, as well as lifts, a café / bar, a shop, a hairdresser's salon, a piano bar, reading and games rooms, a TV lounge, an internet station and Wi-Fi. The gymnasium, floodlit tennis courts and bicycle rental will keep more active guests occupied, whilst those seeking to relax will enjoy the spa, with its sauna and Jacuzzi. A breakfast and dinner buffet is served in the restaurant and features a wide range of international dishes, as well as local Mallorcan cuisine. A chef is also present in the main restaurant, cooking eggs to order at breakfast, and a variety of dishes in the evening. A gala buffet dinner is provided once a week offering the finest choice of cuisine. The Hipocampo Palace hotel has an excellent reputation locally for providing the highest levels of service, and offering excellent cuisine. The rooms are spacious and comfortable, and the hotel has all of the facilities you would expect of a 5 star hotel. If you're looking for a superior golfing experience, then we'd look no further than this excellent property.